When it comes to Christmas, one thing I like to do is create Gift Baskets, Hampers and cute Bundles for my friends and family. I like to find nifty and cute little goodies that will bulk out one or two more expensive gifts and create something really special and unique. The person I do this for mostly is my Mum. I have always spoiled my Mum at Christmas, it’s the one time of year I go all out and it’s my way of treating her. She lives with my brother and Dad in an all-man house nowdays too, so I feel for her! So it’s nice to completely pamper her and indulge her in something special and very girlie. Making her hamper every year is something I thoroughly enjoy. It’s never a chore and I spend months thinking about and gathering the bits to put in it. I try to get lots of the things I know she needs, and lots of extra goodies that I know she wouldn’t necessarily buy for herself. Plus she knows that what I do get her, will be suited to her skin tone and type. This year with the arrival of a new baby and a wedding to pay for, I couldn’t spend as much as I usually do, but I still needed to make it as special as I possibly could. Which got me in to thinking that writing a post on it might actually be fun for me, and helpful for others. 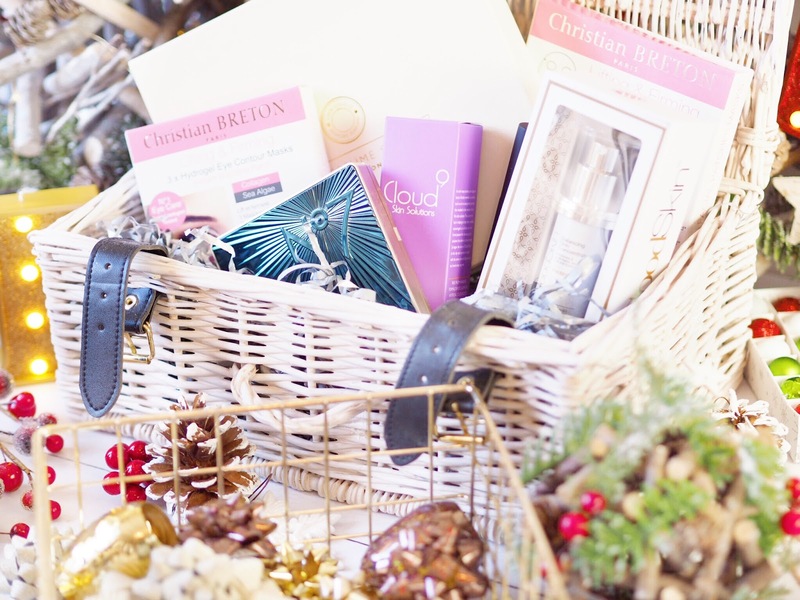 Because basically this sort of Gift Hamper is suitable for any older woman – a mum, an auntie, a gran etc! So, here’s how to put together your own Beauty Hamper For Mums etc.. So the hamper itself is the first thing you need to buy. This year for my Mum I got the picnic hamper style because I thought she could re-use it for different things through the year. It’s the sort that has a belt-like clasp on the top. You can get one very similar for £25 from John Lewis. However if that’s slightly too expensive then I’ve also purchased several DIY Hamper Kits myself for my friends versions of Gifts this year. You can get the basket, the tissue paper, cellophane etc all in one for ONLY £7.50 (Currently reduced from £15!!) also John Lewis. 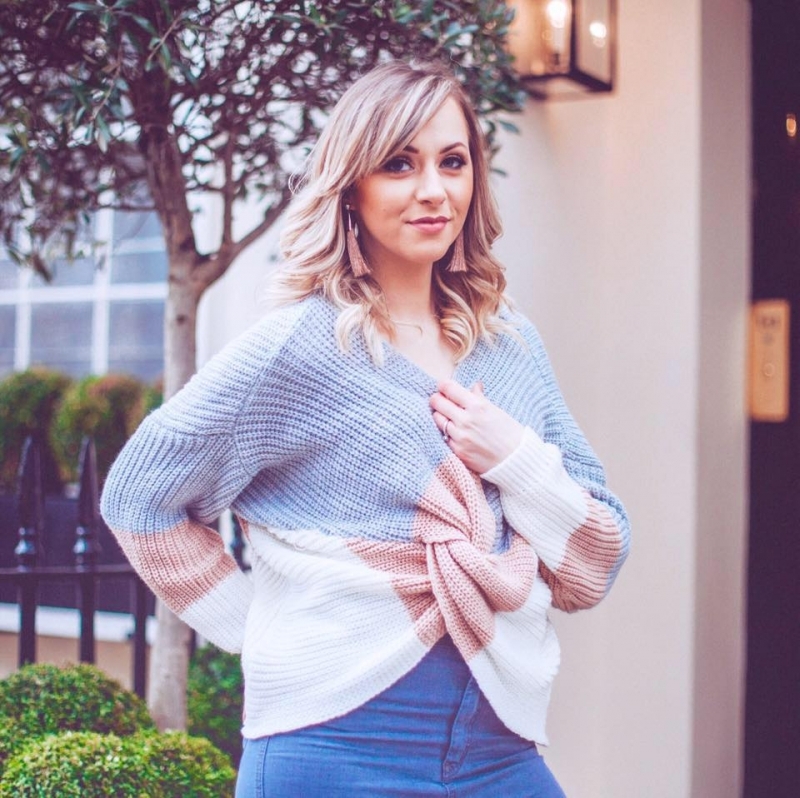 Every Mum wants to pamper herself, well, every girl does really! And Christmas is the perfect time to encourage a face mask or two. Plus usually women over the 50 age mark are concerned about the signs of ageing (I know my Mum is, although she looks great!) So I think it’s important to buy skincare that they’ll benefit from. 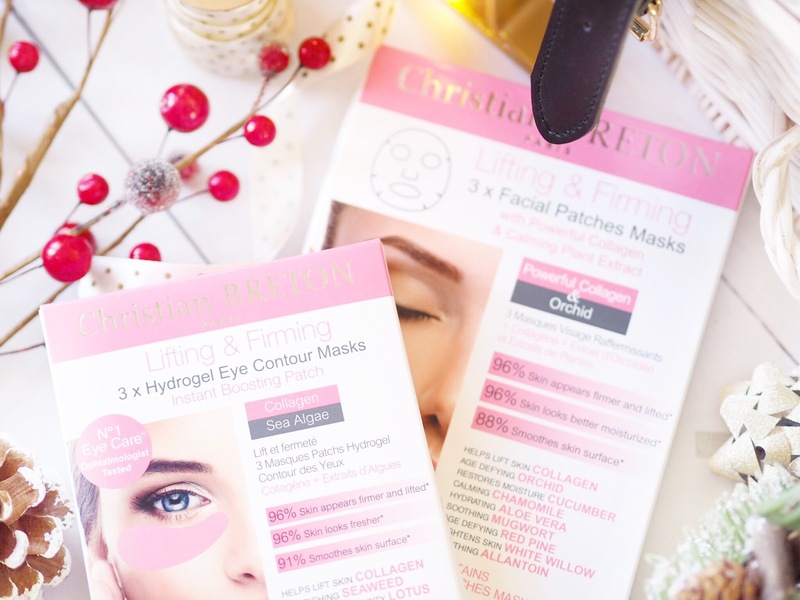 Christian Breton has a great range of sheet masks and under eye masks that specifically lift and tone the face and under eye area to hydrate it and create a smoother and thus younger looking skin. The packs feature severl masks each, so there’s more than one per box and it’s a great way of helping Mum’s target problem skin zones. Speaking of face masks, I’m obsessed with sleep masks right now and have been raving to my mum about them. So naturally she’s been wanting to try one too. 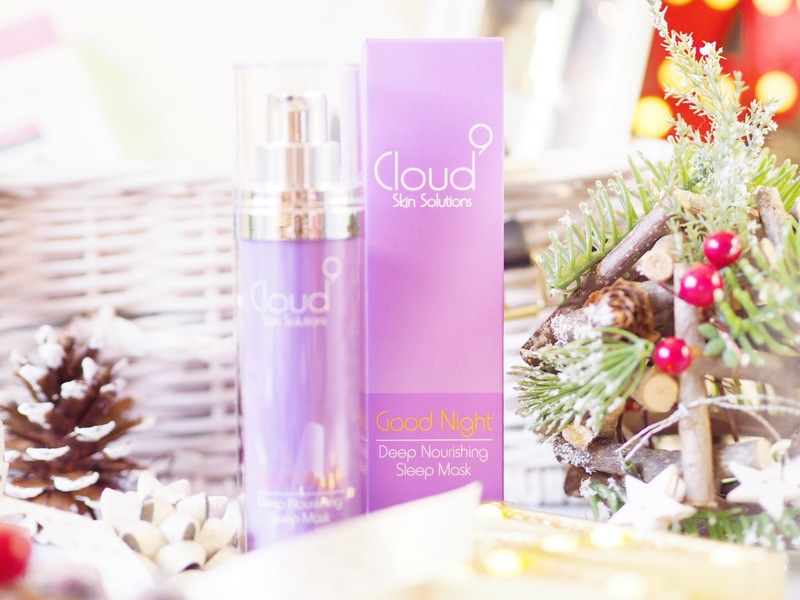 This Cloud 9 Deep Sleep Overnight Mask is targeted to older skin but works while you sleep to provide great results over night. It’s a nourishing mask so overnight it works to leave skin deeply nourished by morning, and as my Mum has considerably dry skin, I know she’ll love using this. It also improves skin softness and reduces the appearance of fine line. Winner. Buying good quality skincare for the older lady doesn’t need to be expensive. 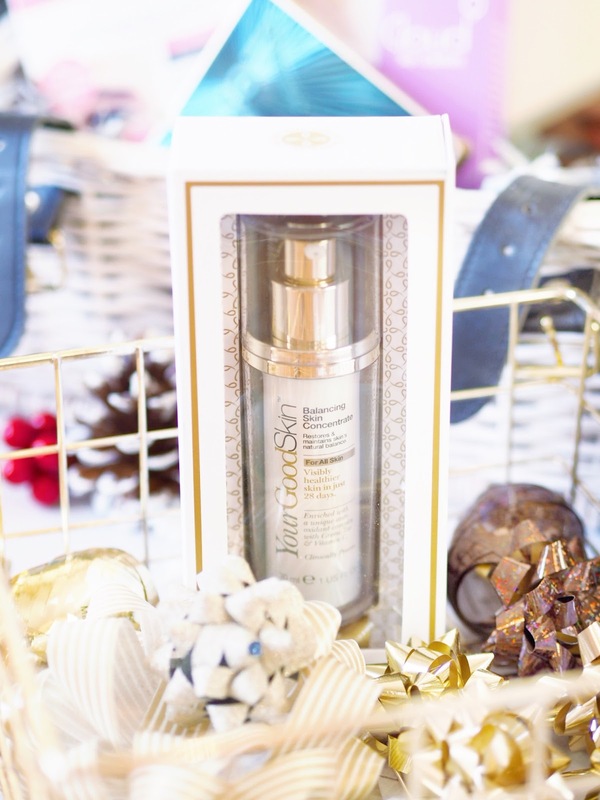 The Your Good Skin Concentrate is getting a lot of attention right now for it’s high performance abilities. A daily serum it works to hydrate, smooth and brighten the face. In trials over 88% of women felt that after a month of use, their skin looked visibly healthier. So I’m sure my Mum will be keen to use this. Perfume is also a must for any Beauty Hamper isn’t it? 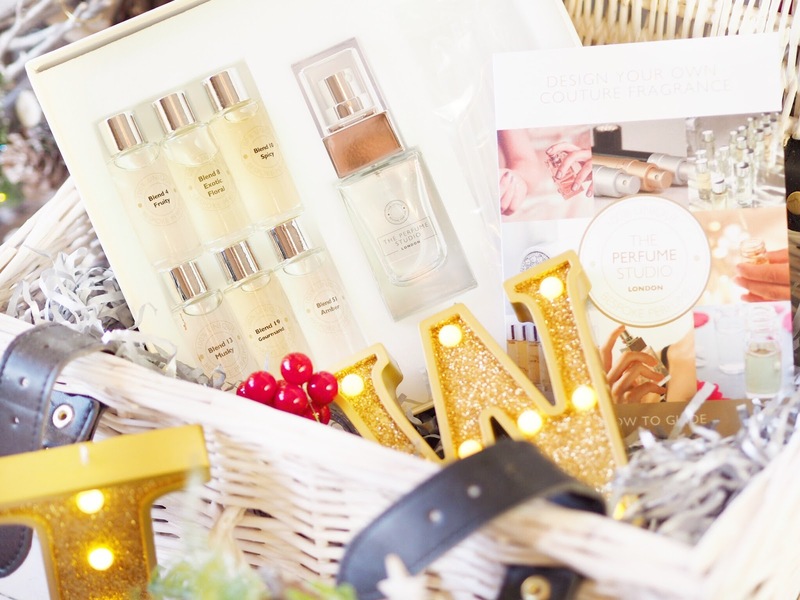 Plus, as I said in my Perfume Gift Guide, it’s one of those gifts that’s totally luxurious. What could be better than the perfect perfume though? Not a lot! 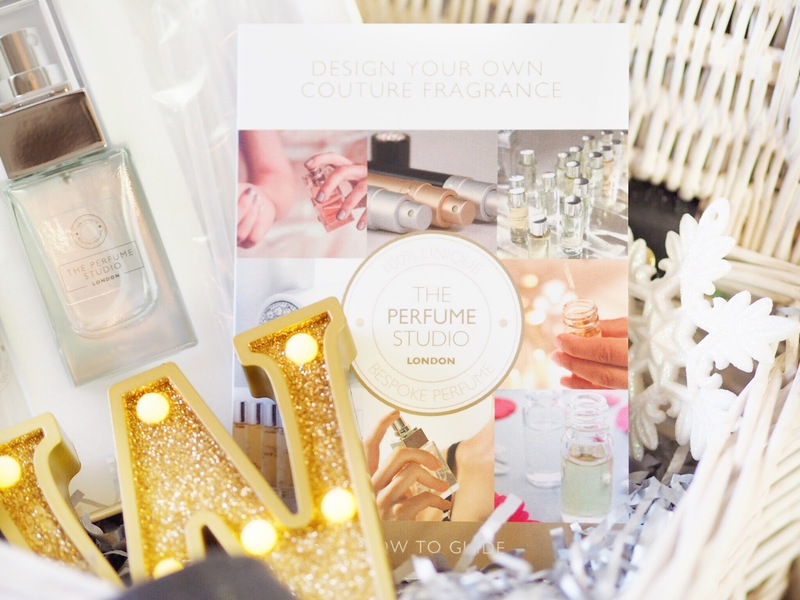 The Perfume Studio have created some very useful and fun sets to help you create your very own perfume! There’s a mix of blends in each set to help you add your own together and come up with the perfect blend. You add to the perfume bottle and can even reorder in full sized when you’ve run out. Honestly such a great gift idea for perfume lovers. A key item I always put in my Mum’s Christmas Beauty hamper is an eyeshadow palette because it’s one of the things I know she loves but never buys for herself. I was asking people on Twitter recently which brands they would recommend and No7 came out a good winner. This Glamorous Nudes Eye Palette is only £14 and perfect for older women with subtle and versatile everyday shades. It’s currently sold out, but more stock is expected soon. 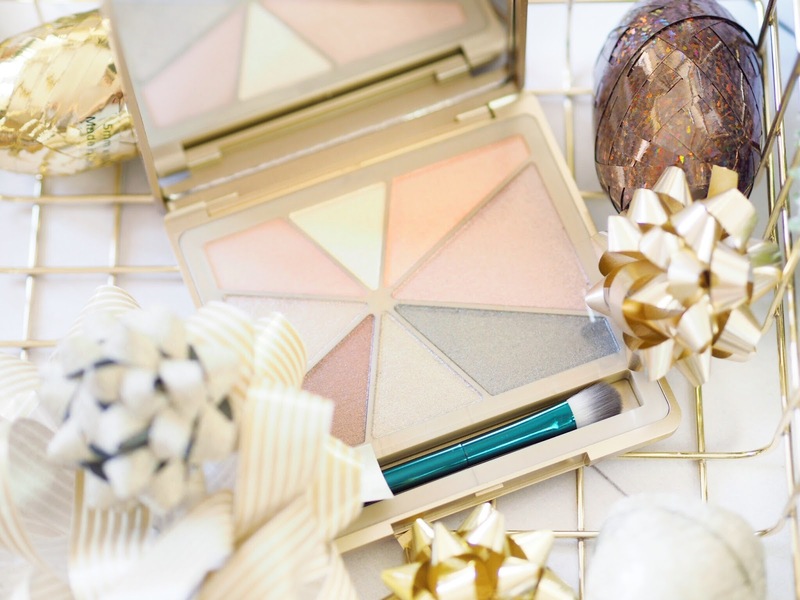 So an alternative I’d suggest would be the Clarins Festive Eye Palette. 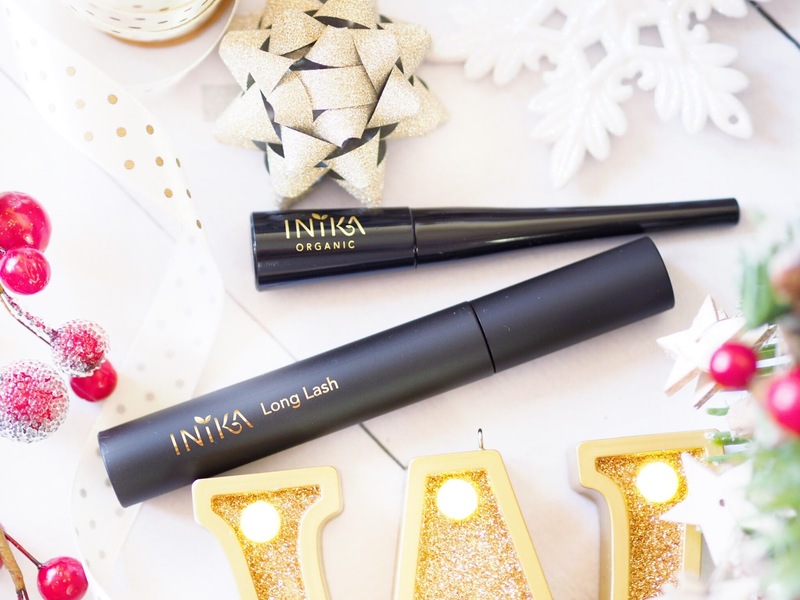 A great mascara that I know my Mum will love is the vegan Inika Long Lash. It’s gentle to the eyes and not overbearing but gives great and subtle lift to line the eyes. 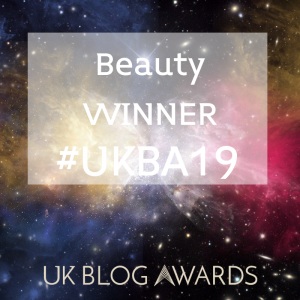 It separates each lash and it’s completely cruelty free so it’s not just Mum’s who would love this in their Beauty Hamper, but vegan friends too. It’s also available in brown and black to suit whichever colour palette your mum would like. All that’s left to do after you’ve got the basket and the contents is pop them together and display them. It’s really easy, just stand everything up and display so you can see everything. I find that this gift always goes down well because it’s thoughtful and luxurious all in one. Happy Mum’s/Aunties/Gran’s!